The Legend of Zelda: Link’s Awakening DX (AKA ゼルダの伝説リンクの目覚めDX, Zeruda no Densetsu: Rinku no Mezame DX in Japan) is an action-adventure role-playing game (RPG) developed by Nintendo and launched for the Game Boy Color in 1998. It was the first Link’s portable adventure! The Legend of Zelda: Link’s Awakening was released on the Game Boy handheld console in 1993. Although the game was astonishing back then even in monochrome, developers thought it would give the game more justice if it was in color. So Link’s Awakening was re-released five years later when the Game Boy Color came out. And Nintendo was right. This iteration gave the old game a new life. This time around, Link is not out to save a princess or defeat great evil. He’s in a quest on his own and he’s doing it for himself. Sort of. After being washed off in an island called Koholint. To get off that island, he must wake up a creature called the Wind Fish. 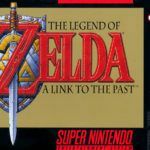 With more than a hundred different foes to defeat and a map that rivals that of A Link to the Past, Link’s Awakening for Game Boy was an epic game during that time considering that it was released in a console that can fit one’s pocket. In The Legend of Zelda: Link’s Awakening buttons A and B can be configured to hold two items. This is where it gets tricky as there are lots of time when the equipped items should be changed in order to finish a stage. There’s also the save feature which requires pressing down Select, Start, A, and B buttons simultaneously. The problem is, if the D-Pad is accidentally pressed, the console will reset. The Legend of Zelda: Link’s Awakening DX shares the same sprites with the original game. This time, though, each sprite is colored gorgeously. There are also some visual additions that weren’t in the Game Boy’s version of Link’s Awakening. Music is certainly Link’s Awakening’s selling point. Each dungeon has a unique sound theme. It has 70 tracks compared to 28 from A Link to the Past. Adding color to an old game may not be enough to give it a new lease in life but in this situation, it is more than sufficient. Link’s Awakening DX is a rightful revival of the first version. 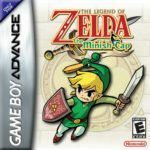 The Legend of Zelda: Link’s Awakening DX game has been ported to Game Boy / Game Boy Color (this version) and Nintendo Virtual Console.